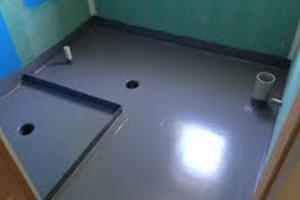 Best Price Bathrooms do not cut corners when it comes to waterproofing. This is the most important stage of the bathroom renovation. After the sheeting of bathroom walls with fibre cement, we then polyurethane corners, prime and then paint with waterproofing materials. Waterproofing is applied to all water affected areas or your bathroom. Waterproofing is applied to manufacturers and Australian standards. Best Price Bathrooms offer a seven year waterproofing warranty on our waterproofing work.